Passion and emotions are deep-rooted in all details of Hartung Guitars. Combining logical lines to create exciting shapes, using premium materials, and making high demands on quality all help in redefining the guitar to some extent. Almost every single task is performed by Frank Hartung himself, from the raw slab of wood to the first note being played. This gives him the freedom to work with flexibility and consider special requests in order to make the instrument distinctive and one-of-a-kind. These are guitars for individualists and lovers of exquisite instruments, but also for the working musician and their trade. 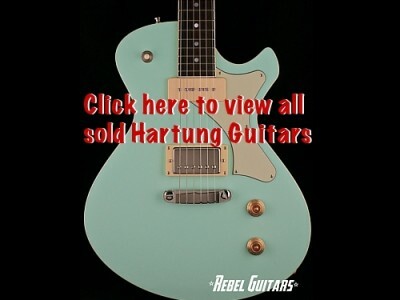 View all the Hartung Guitars we’ve sold.